Join me in the other pupil’s Success! I am now charging £27 an hour with discounts. I will not increase the lesson cost for my existing students. Special Help for those who suffer from Driving Test Nerves. 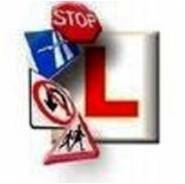 What is going to happen on First Lesson Do you want to pass your Driving Test quickly & efficiently? You can give your Son/Daughter/Partner a Gift Voucher for Driving Lesson. It’s better than giving Money, and it’s something which they will appreciate & give them self-independence. We offer Complimentary theory test training (translatable into any Google Language) If reading English is a problem you can set the site to read the questions & answers for you. I have a system that for those who have fears & phobias about the driving test which I have seen work to help them pass their test. I am now introducing TFT (Thought Field Theory). This is a system of help that comes from the use of the Meridian points used in Acupuncture, but without the needles, you tap the points instead of sticking yourself with pins. I have given a link below to pages explaining and giving links to other websites of driving fellow driving instructors who are practitioners of this art. So you can see more of how this system works. Those who have trouble understanding English. As we get older, our ability to see reduces. That is both in the day & night. A mature drivers ability to drive safely can gradually reduce & its hard for them see the changes. It’s the family that normally see the changes and want to help or to speak to someone for help. I am trained to make value assessments & give a report on what I find; I can help. Find out about Boston driving school? Offering You Personal, Patient, and Practical Professional Tuition & Value for Money. I can show you, tell you or let you read for yourself. How to become a safe driver. It’s up to you, you chose. 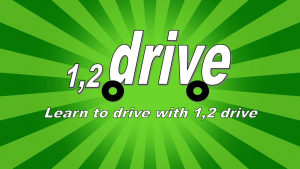 About Boston driving school I offer Intensive or Hourly Training Lessons are for a full hour or more, picking you up where you choose and drop off where you decide (within reason), you can bring a friend, but the lessons are for you.